Millions of Americans have psychological issues or are affected by those of their family members, ranging from anxiety and bipolar disorder to mood and personality disorders. The growth of Big Pharma, combined with an increasing desire of managed care providers to find simple and "quick fixes," has resulted in an often myopic focus on biological causes of dysfunctional symptoms. There is plenty of evidence to indicate that this propensity to only prescribe pills is often deeply misguided, however. 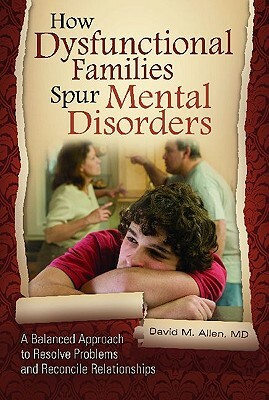 This book examines the role of dysfunctional family interactions in the genesis and maintenance of certain behavioral problems. The author presents a case for regaining a balance in terms of the biological, psychological, and family-system factors in psychiatric disorders and suggests a way to accomplish this. David M. Allen, MD, is professor of psychiatry and former director of psychiatric residency training at the University of Tennessee Health Science Center in Memphis, TN.